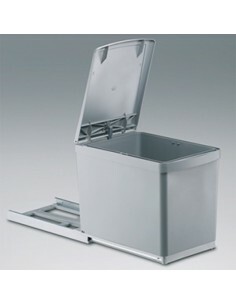 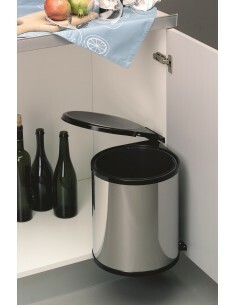 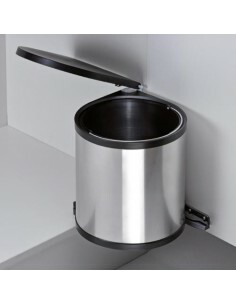 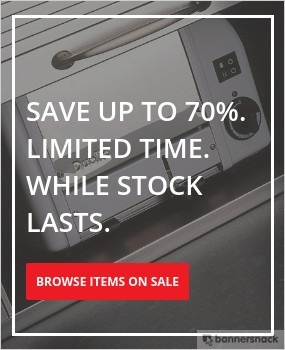 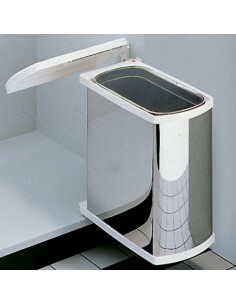 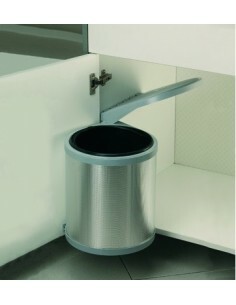 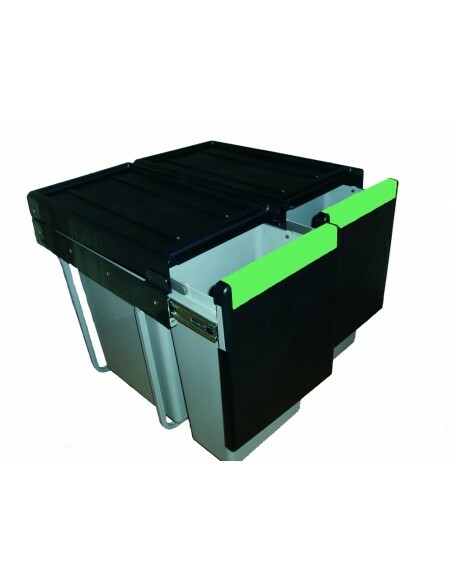 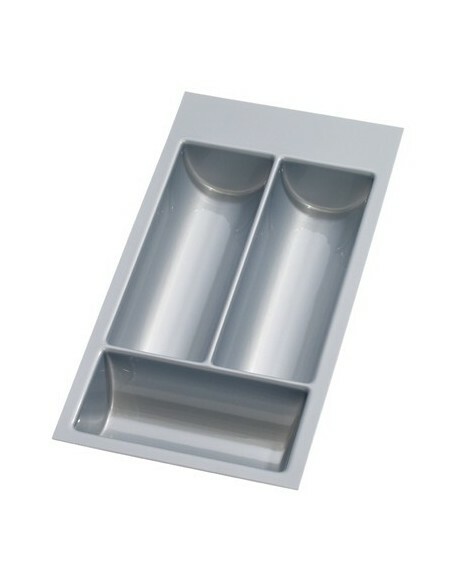 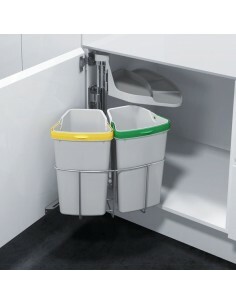 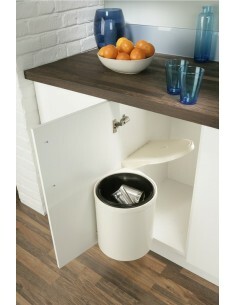 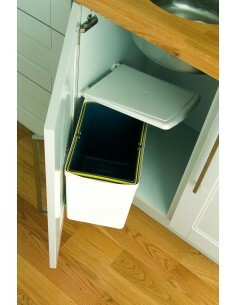 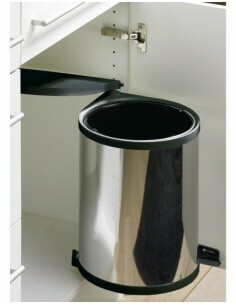 Automatic opening lid bins are ideal for a busy kitchen. 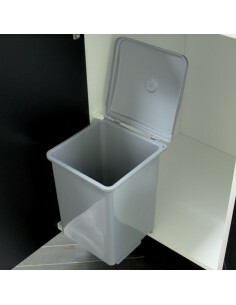 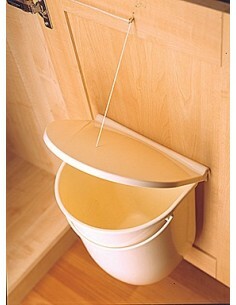 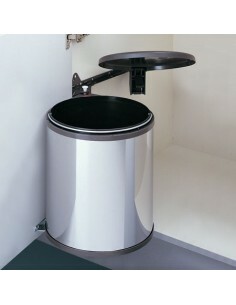 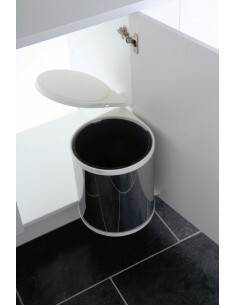 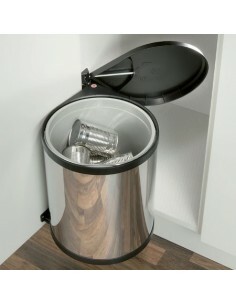 Open the door and the bin lid automatically open, keeping your hands free. 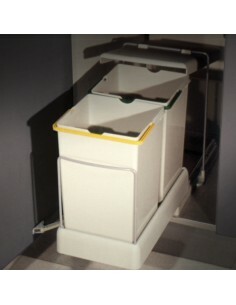 Fixes to the base unit door. 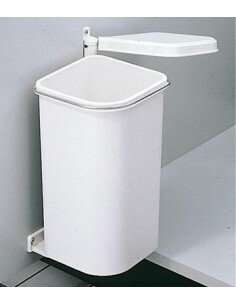 Ideal placed in sink units where space is at limited. 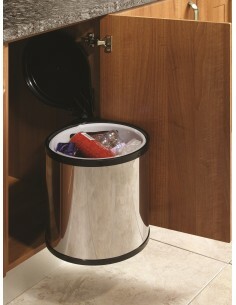 Various finishes: chrome/stainless steel/plastic along with a range of shapes including round & square.